MITHUNA FOODS are part of MITHUNA GROUP OF COMPANIES... - The divisions has an international existence all over the world. 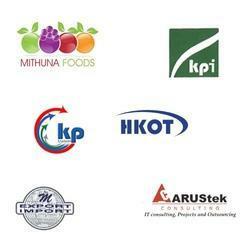 The main division Mithuna exports and imports Pvt. Ltd. are dealers of Hides and Skins business. Mithuna foods were Traders of Mango Pulps and Purees earlier in 2003. HKOT - HongKong overseas trading pvt ltd having its Corporate office in Hong kong to cater all Chinese commodities, Building Materials,Electrical Components, Marine Outboard Engines, Aluminium Foils, Basmati Rice, H.M.S(Heavy Metal Scraps) etc.... HKOC acts as the main connecting factor of Sourcing from Indian Markets and South East Asian Market. KP Liaisoning is an organization based in Chennai has wide network across the World to meet any type of Business Incubation that will provide a A ONE STOP service help to start a business in India. This falls under Mithuna''s Management. Indian Operations. Sells Herbal products, Food Pulps and Purees, Concentrates, and fresh Vegetables, Readymade Foods and IQF(Immediate Quick Frozen) . LARS LINDEBY Corporation AB , KALMAR , SWEDEN, is the branch operations of Mithuna Foods Pvt Ltd and Mithuna Exports and Imports Pvt Ltd access the complete sourcing office for Mithuna Exports and Imports Pvt Ltd, sells Herbal products, Food Pulps and Purees, Concentrates, and fresh Vegetables, Ready made Foods and IQF (immediate Quick Frozen). Mr LARS LINDEBY is the Branch Head of the operations of Mithuna Exports & Imports Pvt Ltd. and Mithuna Foods.